Get ready for another super simple screen free coding game for kids! 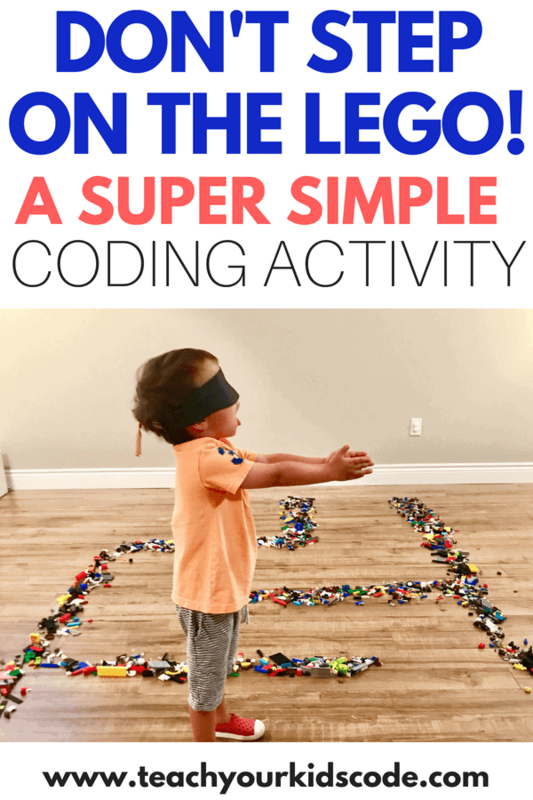 This little coding activity is just too much fun, my kids went crazy for it! 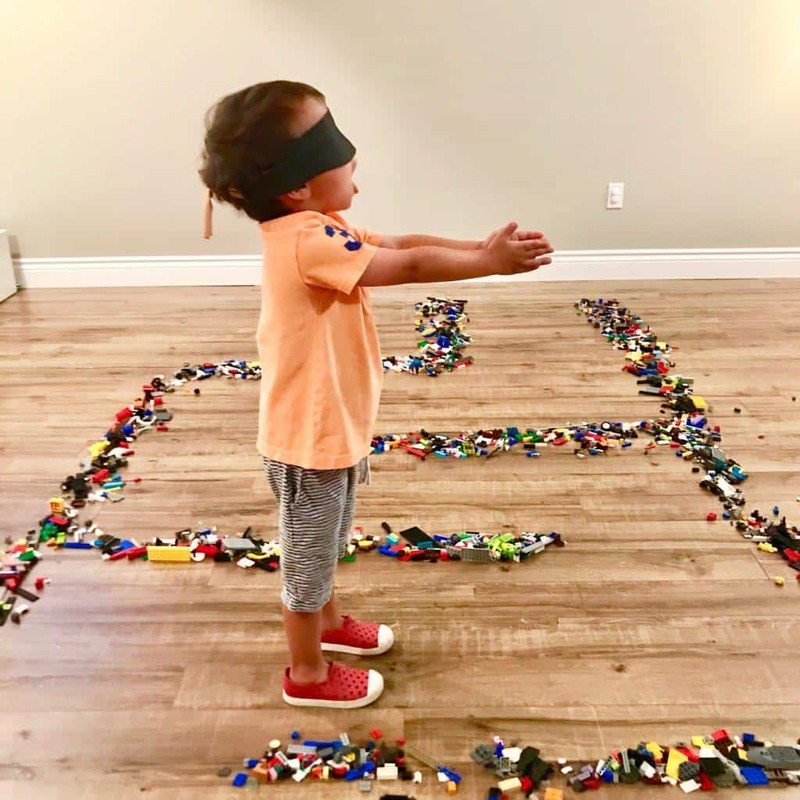 In this activity, your kids will learn how to code a basic algorithm and use sequencing to help get their friends safely through our LEGO maze. 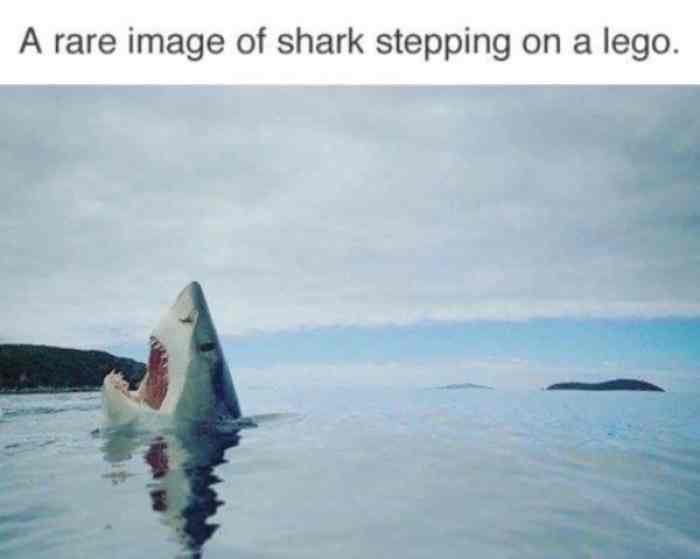 If you have kids, you’ve undoubtedly experienced the painful experience of stepping on a piece of LEGO. Ouch! It hurts. Like REALLY hurts. In this activity we’ve created a maze out of LEGO and the idea is to AVOID stepping on the LEGO. The catch? The “robot’ is blindfolded so their friends will have to give them step-by-step instructions to make it through the maze! *NOTE* LEGO really hurts! 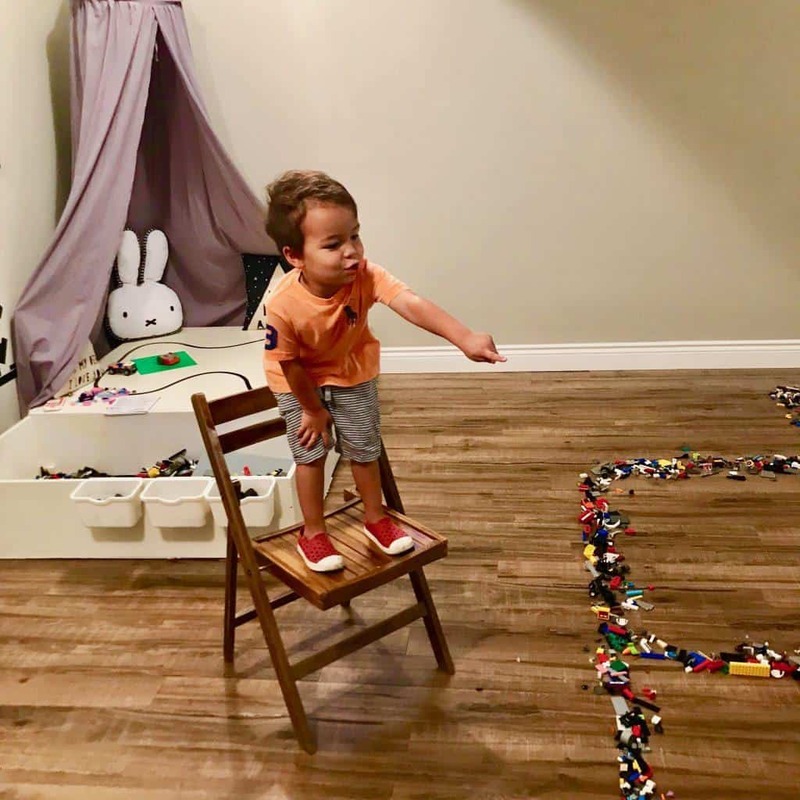 I suggest wearing shoes for this activity 😉 Alternatives to LEGO could include popcorn, goldfish crackers, bubble wrap, anything that makes a ‘crunch’ when stepped on. This STEM activity introduces some of the basic concepts of coding. It is so important to understand the basic coding languages before even thinking about coding with a computer or an app. An algorithm refers to a set of step-by-step instructions for performing a task or solving a problem. In this activity, the ‘programmer’ will need to give the ‘robot’ a set of instructions to guide the blindfolded ‘robot’ through the maze. A sequence refers to the order of steps in an algorithm. In order to make it safely through the LEGO maze, the ‘programmer’ will have to give steps in the correct order. If the steps are out of order, the robot will step on the LEGO, ouch! First start by making your maze. 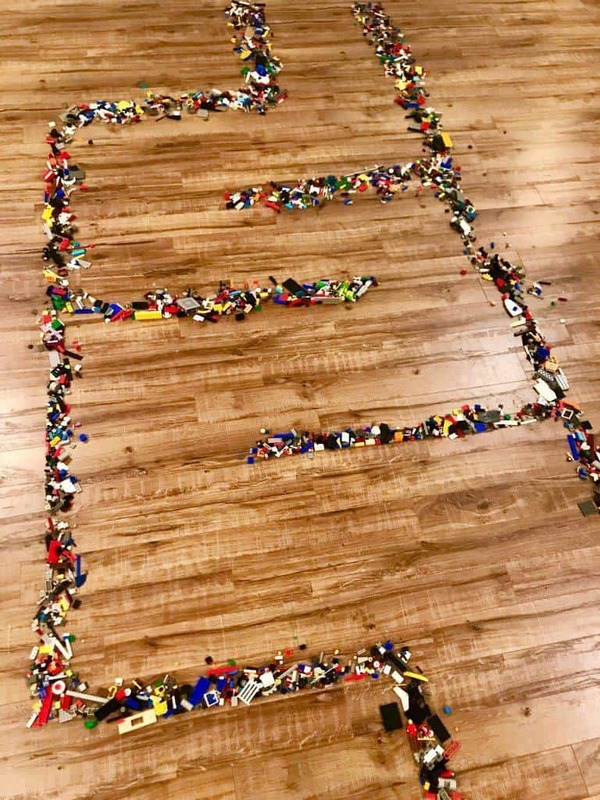 Essentially you throw some LEGO on the floor and use a broom or a piece of cardboard to arrange the LEGO into a maze pattern. I made my maze pretty simple. For older kids, You can absolutely make the maze more complex and challenging! Blindfold your ‘robot’. Lead them to the start of the maze. Now the programmer has to give the robot step-by-step instructions to make it to the finish line WITHOUT stepping on the LEGO. For an extra challenge, have the programmer give multiple steps at once. It’s hard to think ahead, and this is a skill that is essential for coding! 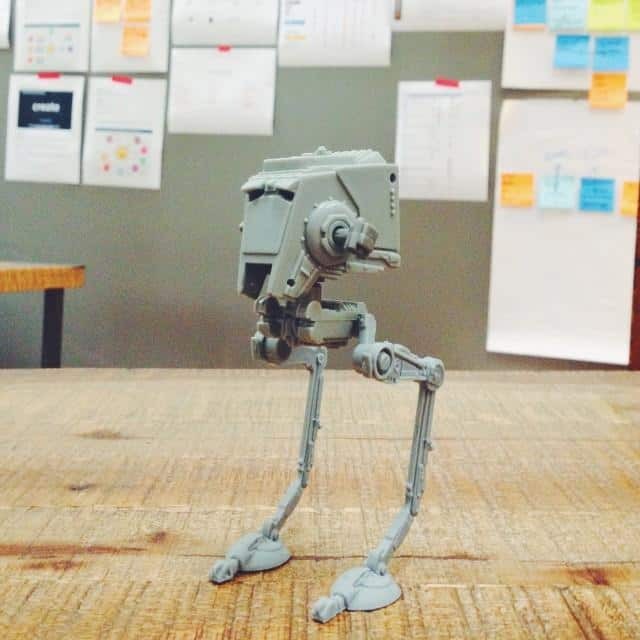 Have no fear though, if the robot hits the LEGO, the programmer will have a chance to ‘debug’ the code. Problem solving at it’s best! Once your robot has made it to the finish line, you’ve completed the challenge! It’s as simple as that! I hope you enjoy this activity. Let me know how it goes in the comments below! « Learn about sequencing and algorithms in the pool!